When you walk in to a retail store, you expect certain things. A clean well kept environment, proper temperature, well lit, a great selection of what you seek, and friendly courteous salespeople are all the basics most expect. Often one of the most effective tools for increasing in-store sales is less subtle. It is the “vibe” created by the music. Studies show that retailers benefit directly by enhancing customer experience and the proper business music service helps to deliver those results. 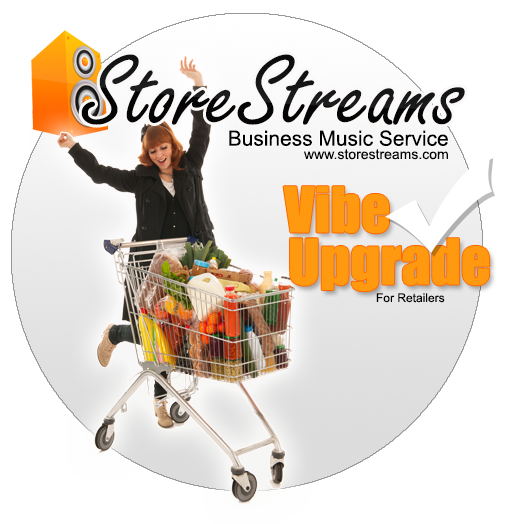 The StoreStreams business music service offers a complete solution for retailers of all sizes that are in need of a background music service for their retail store environment. StoreStreams plays the hit music of today and yesterday by the artists you know and love. The StoreStreams business music service offers pre-programmed as well as custom radio channels for retailers that are fully licensed and 100% legal. The StoreStreams solution is a streamed solution, so you can easily set it up to run on any number of devices. StoreStreams is completely scalable for any size retail location no matter if you have one or one thousand retail locations or they have multiple zones and departments. Business Music Service plans start at $20.00 a month. Providing a complete Business Music Service for Retailers from speakers to Streaming services, StoreStreams has retailers covered!